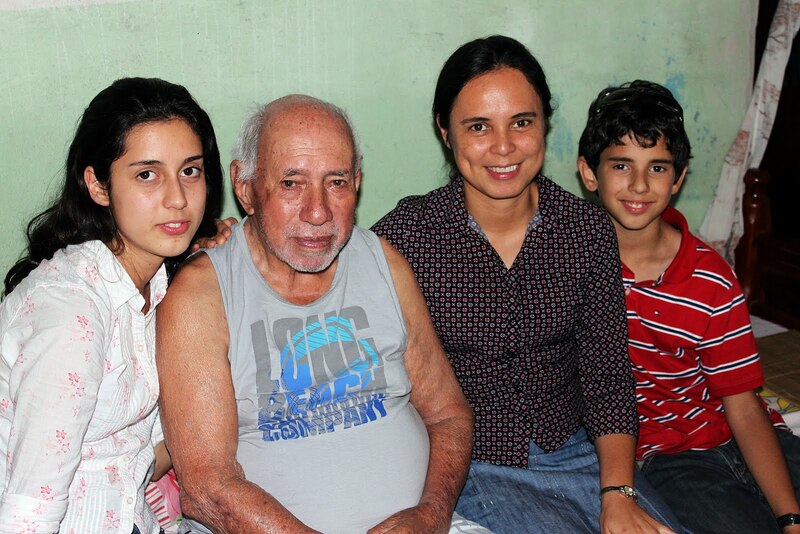 With Great-grandpa Vincent Floriano Ribeiro (Don’t you just adore his name?!) in January in Sorocaba (: P.S. He’s 96!! This day was really warm, and the 40-some year old house was stuffy and when the kids came back from the store with popsicles, they were all melted already. They’ve sold the house now, unfortunately. My mom tells Victor and me stories about visiting her grandparents and as I sat on the couch that January 6, I could just see the ten or more cousins sprawled on the floor in front of the TV. I can’t wait ’till great-grandfather’s 97th brithday! !